Users tab is only visible to the company account owner and administrator, if additional company users are purchased. In your user tab you can review your company users statistics, add new users, delete or suspend existing ones. Owner or administrator can also promote any of their company users to become a company administrator. 2. Click the "Users" tab and locate first section called "User statistics". 4. If the user accepts the invitation to join the company account and their status is "Active", you will be able to review their individual current month portal usage statistics by pressing the arrow on the left side of their name. 5. Here you will see users position in the company and the company title (if these fields are filled on the user profile), you will see the last time user logged in to the portal, how much of the space their documents take, how many signatures were used this month and how many times user logged in to the portal (number of sessions this month). 6. Click the "Add new user" button that is located next to the second section called "Users". 7. Fill in all the fields, "First name", "Last name", "Personal code" and "Email" are mandatory fields. 8. At the time of user creation, their contact is being created as well. Choose whether you want to share this contact with your other company users by checking the box. 9. A new user will now get a notification to their email address that they were registered to the portal and will have to log in and verify their email address. 10. When the account is verified, a new user will instantly become a company user. 11. 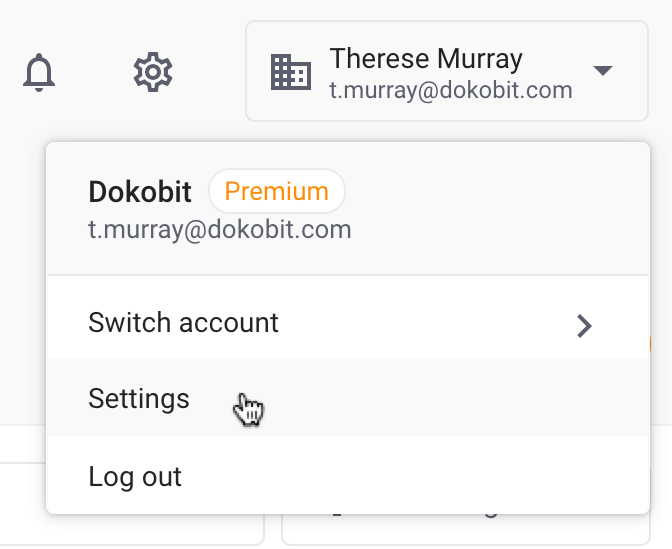 If the user you would like to invite to become your company user already has an account in the portal with entered email address, then only the "First name", "Last name" and "Email" fields will be sufficient - no need to enter "Personal code". 12. In this case you can invite them to join the company by clicking on the link. 13. This user will now get an invitation to join the company account to their email address. By logging in to the portal and accepting the invitation, user agrees that account manager (company account owner) will gain the full control of their account. Note: since one account can always be free, we always recommend to keep personal account and work account separated. It is better to use your work email address for your company user account, since the company admin gains the full control of this account and can later delete it. 14. 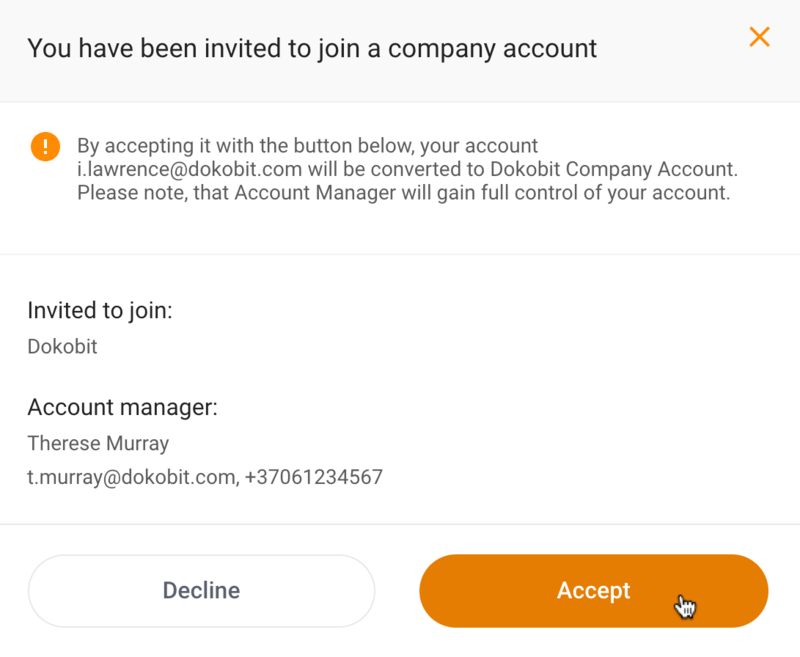 If the user does not accept the invitation to join the company account or does not verify their email, the company administrator will only be able to cancel the invitation by clicking the "Actions" button and "Cancel invitation" next to this user name in the section called "Users". Transfer owner rights - transfer your company account owner rights to any of your company users. Note: this action is irreversible from initial company account owner side and owner will loose and transfer all of their company account owner rights to another user. This user then, can transfer rights back to initial owner or any other user if necessary. Delete user - permanently delete company user account. Note: this action is permanent and irreversible. Deleting user accounts means, that the account is being deleted permanently and access to all documents is being revoked. 16. You can use a search bar to look for your company user more easily by entering their name, last name, email address or choosing their status.